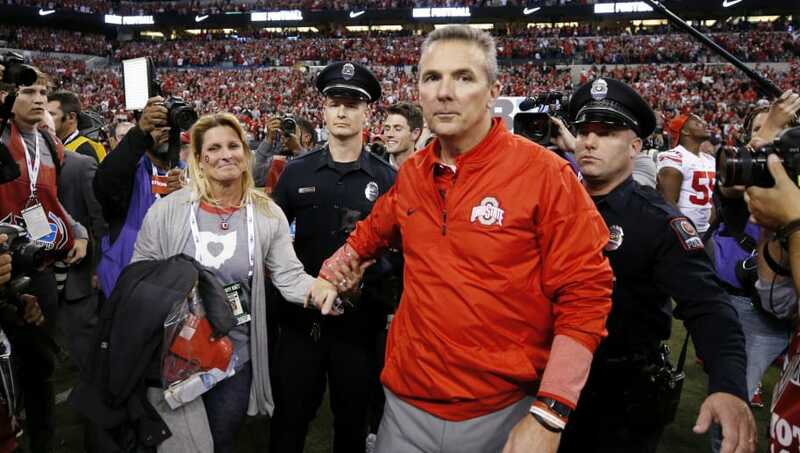 ​In the midst of the Zach Smith scandal that has rocked Ohio State University, Urban Meyer, ​who reportedly knew of the domestic violence allegations against Smith long before they surfaced, has addressed his fans through Twitter. The statement claims he misspoke at the Big Ten Media Days when he said he knew nothing of the incident that happened in 2015. Meyer states that he "wasn't adequately prepared" to talk about the issues with the media. ​​What seems most telling is that he doesn't seem willing to resign, which could be interpreted in a variety of ways. Either he's that committed to getting back on the field and bringing another championship to Columbus, or he's not willing to take responsibility. 1. Kept a coach who he knew had multiple accusations of domestic violence against him on his staff. 2. Not only repeatedly lied when asked about it, but said "I don't know who creates a story like that." Regardless, it seems like ​Meyer is trying to accomplish what he can given the situation he's in. While he can't address the media directly given that he's been placed on administrative leave, Meyer is trying to clear his name and perhaps set a legal precedent in his defense should there be an impending decision against him. Urban may be setting a winning legal argument but a losing public one: I knew about what happened in 2015 and reported it as required. But wasn’t the decision to keep the guy on staff his? Coaches fire assistants for all kinds of reasons. Whether or not it's enough for him to keep his job is something we'll have to wait on.